Our Historical Tour and Mountain Trek offers you a fascinating mix of a working 2,000 year-old salt harvesting mine, an ancient sacred spring, an old ghost gold rush town, an ancient and historic baobab tree, and beautiful mountain walks in both one of the South Africa’s most beautiful nature reserves, and the largest green canyon in the world. Baleni is an incredible cultural African experience that allows you to see how the local Tsonga people integrate their ancient traditions into their modern lives. You see how they use 2,000-year old techniques to harvest and process salt from their ancient protected site. 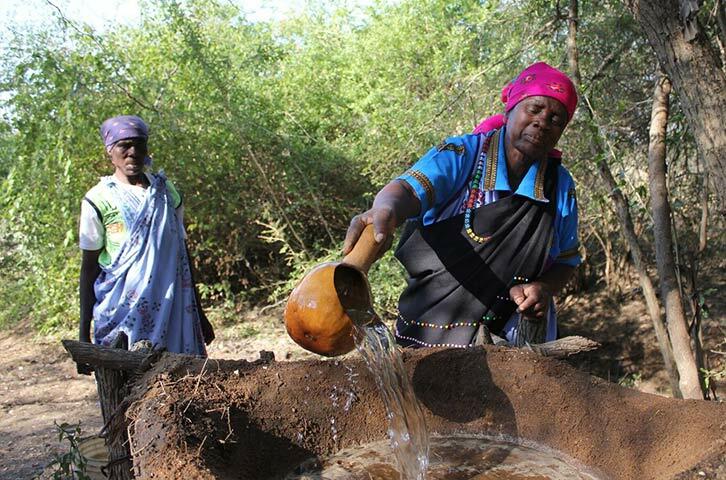 You visit a geo-thermal hot spring that is a sacred site for the Tsonga community... and they allow you to wash away your bad luck in the sacred waters. You stay in rustic accommodation in a community eco-village with solar power, and enjoy wonderful Tsonga dancing and food. We take a walking tour of the small historic town of Leydsdorp. The smallest town in South Africa, Leydsdorp was once the centre of a short-lived gold boom but was virtually abandoned when gold was discovered on the Witwatersrand. Almost a ghost town, the legends of Leydsdorp live on as you walk its dusty streets and visit the historic graveyard and restored old hotel. We then visit an extraordinary tree! The majestic baobab tree is an icon of the African continent and lies at the heart of many traditional African remedies and folklore... and after leaving Leydsdorp, we visit this magnificent and ancient baobab tree. It is a moving and humbling experience to be in the presence of an age-old tree that has provided food and shelter for countless birds and animals over the millennia. We leave the ancient baobab and drive to what is arguably one of the most stunning nature reserves you can visit. Lekgalameetse is one of South Africa’s most beautiful nature reserves, set in a stunning, misty and unspoiled mountain wilderness. 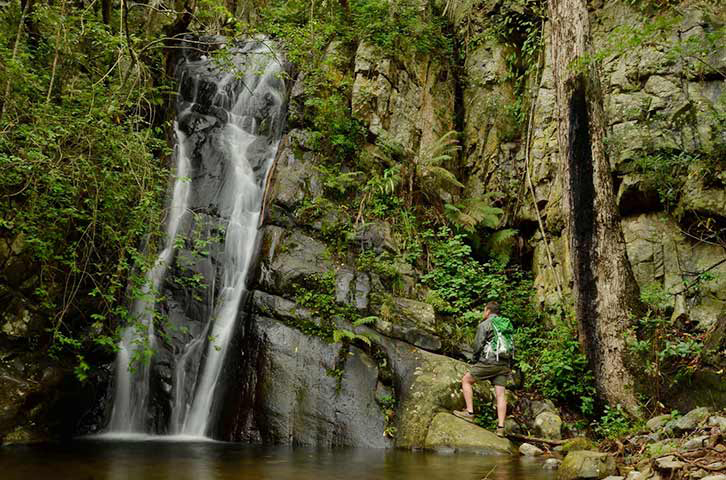 We take an incredible walk among the tall and tangled trees, ferns, forest flowers, striking fungi, amazing animals, birds and butterflies... and its abundance of mountain streams, rock pools and fabulous waterfalls. We overnight in lovely log cabins. Nothing helps you connect with nature and nurture your spirit the way walking can. You touch nature, and nature touches you. A morning walk in the beauty and solitude of Lekgalameetse gives you a different perspective and helps you recharge your soul. Swarms of colourful butterflies and beautiful birds among the spectacular trees, crystal clear streams, waterfalls and lovely pools make this a walk you will cherish for the rest of your life. After our walk we take a beautiful drive to a magnificent canyon! 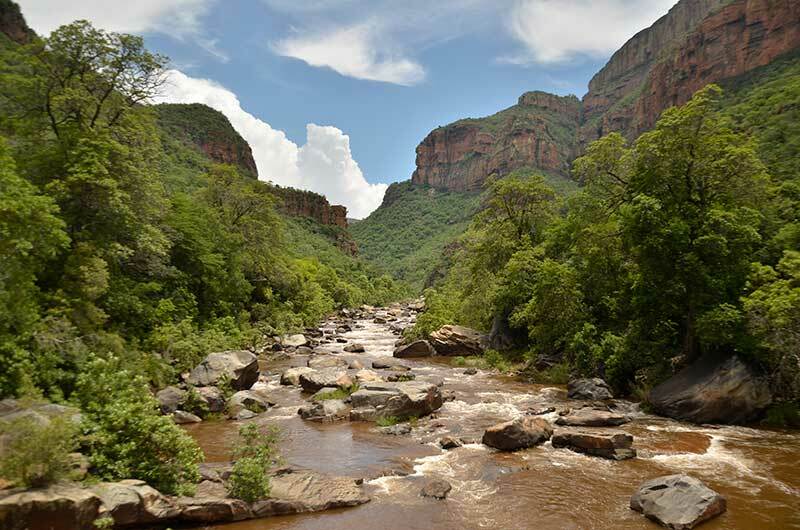 We take a scenic drive to the spectacular Blyde River Canyon. It is the third largest canyon in the world; the largest 'green canyon' due to its lush subtropical foliage; and it has the deepest precipitous cliffs of any canyon on the planet. It is absolutely awe-inspiring. From the top of the canyon you get wondrous views of the famous Three Rondavels, the magnificent mountains and incredible canyon beneath your feet. We overnight at the 4 star Blyde Canyon Resort. 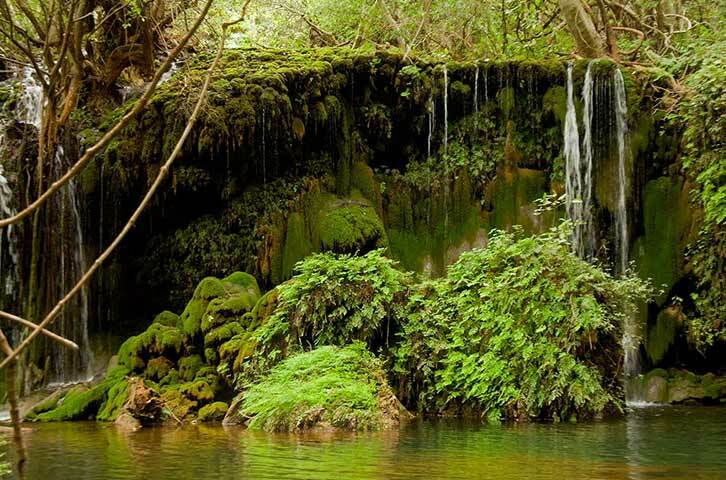 You spend the morning on what has to be one of the world’s most stunning walks… winding along the bottom of the dramatic canyon… past streams… pools… waterfalls… incredible rock formations… butterflies… flowers… animals… dazzling views - it is a walk you will never forget. Best of all, you can swim in a pristine pool beneath a sparkling waterfall. It’s magical! And then, reluctantly, it is time to leave. After our walk we begin to make our way back to Phalaborwa... leaving behind this magnificent wilderness... but taking with you a lifetime’s memories of exploring this magnificent part of the world with its spectacular landscapes and fascinating history and diverse cultures! On this tour you stay in a wonderful array of accommodation that gives you a superb South African cultural experience! At Baleni you stay in rustic accommodation in a community eco-village with solar power. 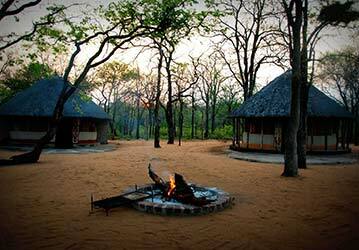 At Lekgalameetse you stay in beautiful log cabins. 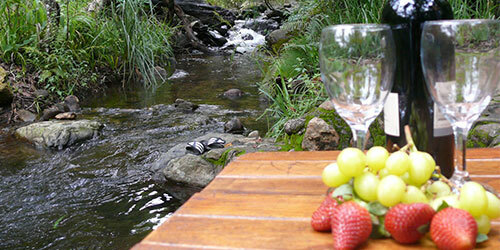 And at the Blyde River Canyon, you stay in a lovely 4 star mountain chalet. 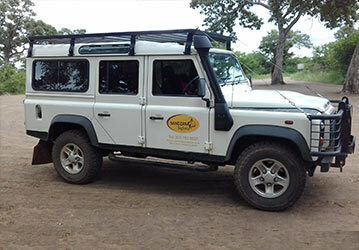 We use the iconic African tour vehicle - a closed Land Rover. It is designed for optimum tour travel in Africa! Your tour will involve wonderful scenic drives between venues – and we want you to enjoy every second of it! 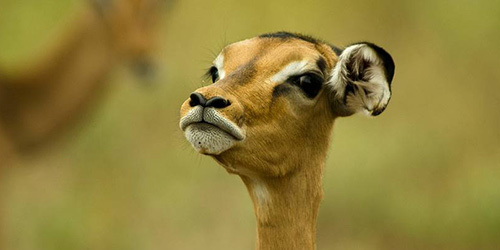 As such, we ensure that your safari vehicle is stocked for maximum flexibility, comfort, safety, and viewing. We carry tea, coffee and rusks, and a cooler box of iced waters. Eating well is central to a tour! And this tour offers you a superb South African cultural eating experience (but which also caters to all dietary preferences). There is nothing as enjoyable on a tour than chatting over what you have seen and done while sitting down to a meal that is fresh, attractive, bursting with flavour and served with warm South African tradition! It is safe to drink the water in South Africa, but bottled water is always available in the vehicle and at the camps. This brief overview merely touches on the tour highlights... drop us an e-mail and we will send you a detailed tour proposal, filled with beautiful images and every detail you want to know! This costs you nothing and there is no obligation to book with us, so don't hesitate – enquire now because we would love nothing better than to give you a Historical Tour & Mountain Trek experience that leaves you wanting to stay in Africa forever!